Polaroid proper is no more, but its brand-name and identity are still around in various reanimated forms—and today at IFA in Berlin, the company that owns those assets is releasing a new rendition of the old Polaroid’s classic instant camera. 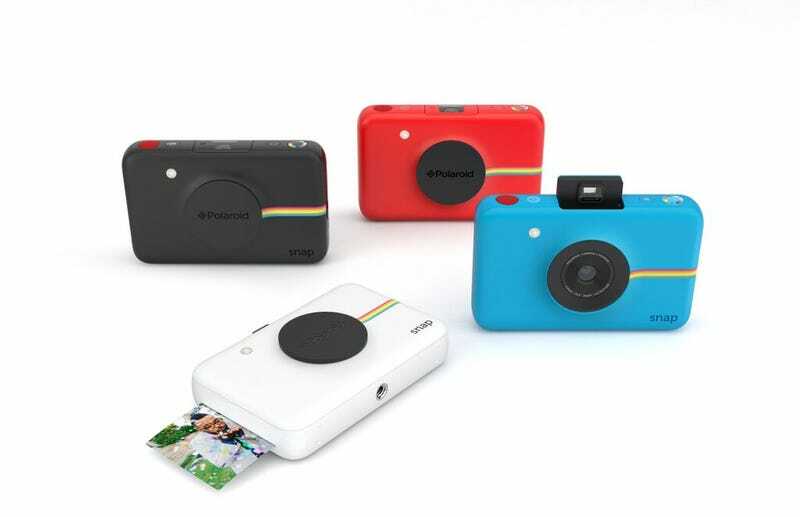 It’s called the Snap, and it’s a 10MP camera equipped with an instant printer that spits out 2-inch-by-three-inch color pictures using Zero Ink printing tech—not unlike the fun Polaroid-branded Zip printer that we tested out earlier this year. Actually, the Snap should feel familiar; other Polaroid camera-and-printer hybrids have hit the market over the past few years. Snap comes with a dramatic price cut, down from about $180 (or $300 for the Socialmatic) to $99, though it doesn’t do video like some of its peers. Users will be able toggle through three image modes: Black and white, color, and something called “vintage,” which will add an old-school faux-border. Crucially, the Snap doesn’t connect to the internet—an onboard 32GB Micro SD card saved the images, and you can either use a card reader or a cord to upload them to the web later. In the sense that it has no internet connection, this is the closest reimagining of a classic Polaroid camera yet. The Snap, like the Zip and another recent Polaroid addition, the action cam known as the Cube, were designed by San Francisco design firm Ammunition. But the company driving these new products is C&A Marketing, Inc., a distributor based in New Jersey that is now the official licensee for the Polaroid brand. Polaroid isn’t the only famous brand-name C&A owns: After the very public collapse of SkyMall this year, C&A snapped up the name and now owns the brand. “Our goal is to bring the SkyMall brand back to its roots, back to the brands, products and technology that relate to all travelers,” said C&A VP Chaim Pikarski this spring. C&A’s goal of revitalizing SkyMall sounds similar to its goal of revitalizing Polaroid: Take a world-famous brand-name, now financially defunct, and issue new products under the same name that hearken back to the classics. A Polaroid camera vs. the Zip printer. For Polaroid, at least, the nostalgia is definitely there. But is there demand for an unconnected camera in our connected world? There may be widespread nostalgia for this lost era of instant photography, but will consumers choose a camera that’s separate from the internet, without an instant share function? Perhaps purists will. But Polaroid cameras were populist hits, not niche products. Instagram is the reigning populist photo hit today, and operating it requires internet. Can Polaroid reclaim that same popularity with these re-imaginings of its original blockbusters? We’ll have to wait and see.